Because many brands of store-bought tortillas these days feature suspicious ingredients such as cellulose gum, proprionic acid, dextrose and amylase, I’ve been wanting to try to make my own tortillas for some time. With the Cinco de Mayo holiday just a few days away, I thought this would be the perfect occasion. It turns out that making tortillas from scratch is super simple (way simpler than baking bread from scratch and almost as easy as homemade pizza dough). To make 12 tortillas, all the ingredients you’ll need are 2 cups of flour (plus a bit extra for rolling out your dough), 1 tsp. salt, 1 tsp. 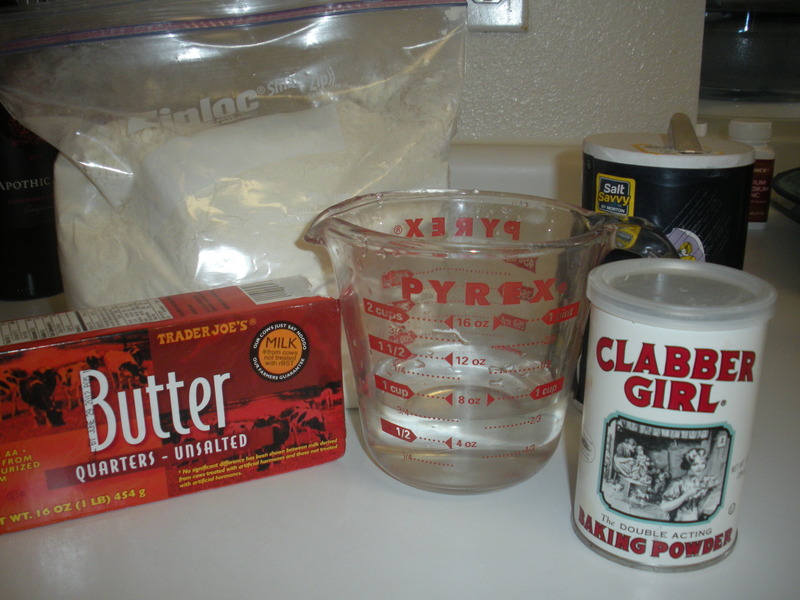 baking powder, 1 Tbsp. butter, and about 3/4 cup of warm water. Tortillas from scratch are apparently cheap too, as that comes out to less than 5 cents per tortilla. In a medium-size bowl, combine the flour, salt and baking powder. Add the butter and mix until the dough has a mealy texture. Add 1/2 cup of the warm water and mix until all of the dry ingredients are absorbed. You may need to add 1/4 or 1/2 cup of additional water to absorb the dry ingredients. Set the dough aside for 15 minutes. Next, dust flour all over your clean counter top and a rolling pin. 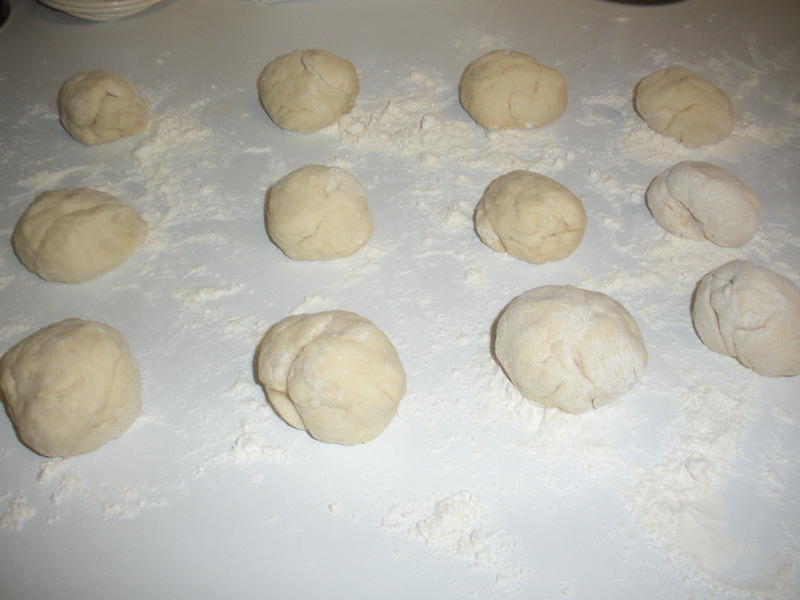 Divide the dough into 12 equal-size balls. 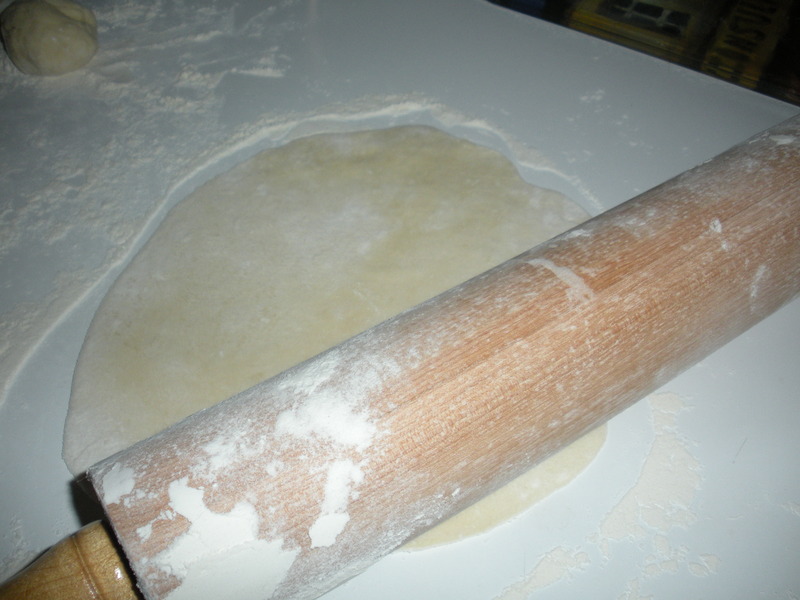 Roll the dough into flat rounds with an approximate 6-inch circumference. Don’t worry about the rounds being perfectly shaped, as I think misshaped tortillas look even more homemade. Heat a non-stick skillet over medium heat. You don’t need to use any oil or butter in the pan. 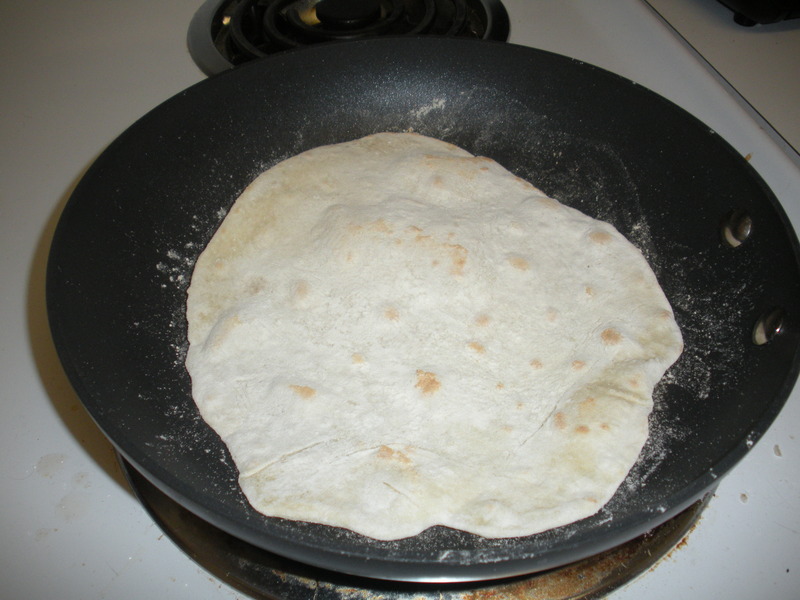 Cook each tortilla for 90 seconds on each side. 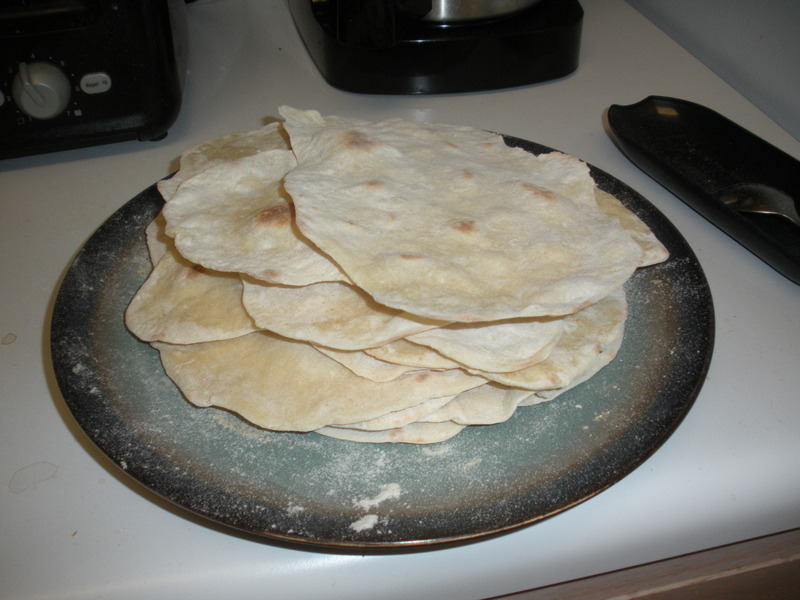 In total, one dozen DIY Flour Tortillas took me about 1 hour to make. They tasted just like the fresh-out-of-oven tortillas you get at certain Mexican restaurants, and they even passed my husband’s critical culinary test. Now he’s asking if we can make tortillas from scratch once a week. This entry was posted in DIY, Healthy Living, Recipes, The Simple Living Experiment and tagged bread, cheap recipes, Cinco de Mayo, DIY, Mexican food, recipes, simple living, tortillas. Bookmark the permalink. I love that these use butter instead of shortening or lard!